It’s that time of the year again where news around the NBA has slowed down, and we’re all left to argue over hypothetical power rankings. The league is as stacked with talent as it’s ever been, and the term “star” has become hard to define due to the sheer volume of great players. This makes compiling a power ranking next to impossible, but we’re going to give it a shot. With that said, here are our top 25 players for the upcoming 2017-2018 season. 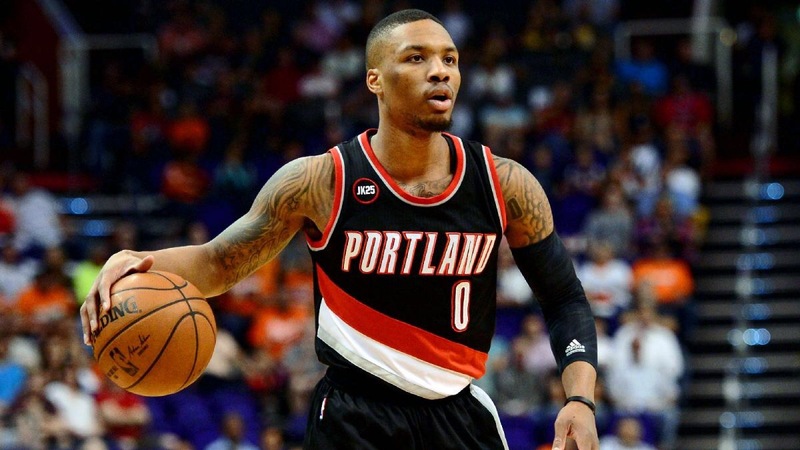 Remember: This is a list that ranks the top players for next year. Immediate production, not age, is the only thing taken into consideration. 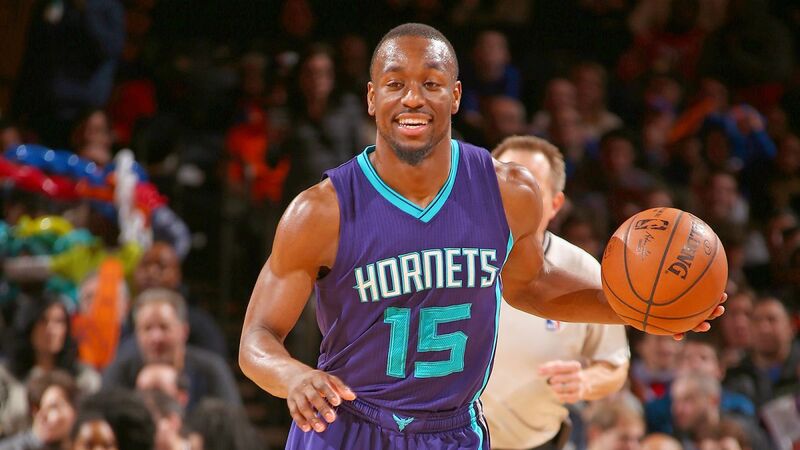 Kemba Walker is essentially John Wall without the surrounding help. Don’t believe me? Look at the stats. Both players averaged 23 points per game last season. Also, the two players only had a difference of .01 in their defensive real plus-minus, an advanced metric that measures a player’s impact by net point differential per 100 defensive possessions. Walker had the slight edge in that category, by the way. Still not convinced? Walker ranked No. 9 amongst guards in offensive real plus-minus (3.93), and Wall finished at No. 10 spot (3.52). Translation: They’re essentially the same player. Sure, Wall is the better player because he averaged 10.7 assists last season compared to Walker’s 5.5 assists. But again, but that’s partially because Wall was dishing out passes to Bradley Beal and Otto Porter Jr.
My point? Walker deserves to be on this list. Gordon Hayward’s decision to join Boston was one of the biggest game changers this summer. The 27-year-old averaged a career-high 21.9 points per game last season in route to his first all-star appearance. Hayward does it all on the offensive end, shooting 44.4 percent from mid-range (10-16 footers) and 39.8 percent from behind the arc as well. The Butler alum isn’t as athletic as the rest of the players on this list, and that’s what’s keeping him outside the top 20. Still, Hayward is a well-rounded player that seems to do everything right, and he’s deserving of a spot on the list. 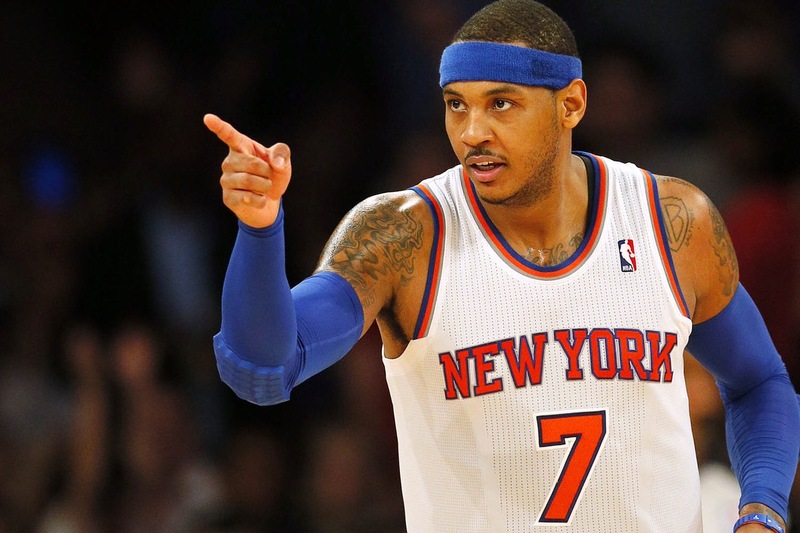 It’s easy to forget just how good Carmelo Anthony really is. When you think of the Knicks, the word “greatness” doesn’t exactly come to mind anymore. But that’s exactly how one should describe Anthony. The 10-time all-star and three-time Olympic gold medalist is one of the most dangerous scorers of the past decade. In Anthony’s 14 years as a pro, he’s never averaged less than 20 points a season. That’s right, amongst all the chaos that surround New York last season, Anthony still managed to average 22.4 points per game. The 33-year-old desperately needs a change in scenery, and it’ll be interesting to see just how far he can turn back the clock when he ditches The Big Apple. The past couple of seasons haven’t been easy for Blake Griffin. 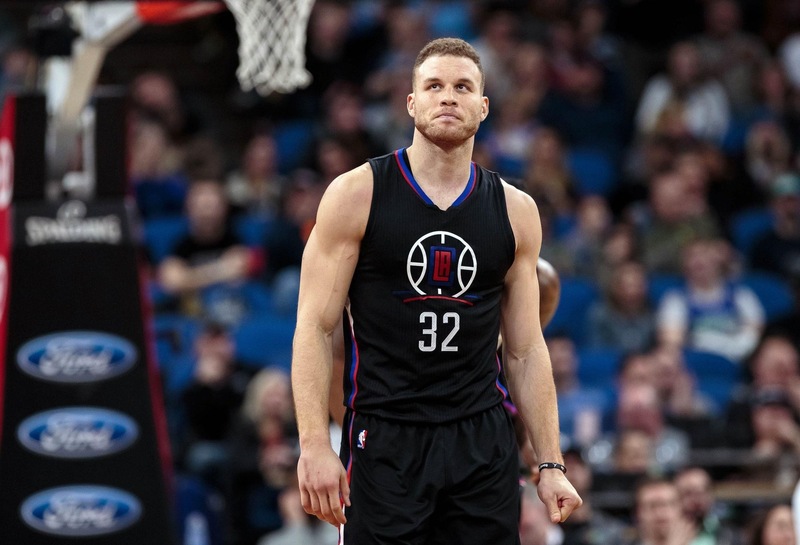 Injuries have plagued the 28-year-old since he entered the league, but the past two seasons marked the only two years where Griffin failed to make the All-Stars. With that said, the Oklahoma alum has still got it. Griffin averaged 21.6 points and 8.1 rebounds last year as the No. 2 option on the Clippers. In addition to being a jaw-dropping dunker, the seven-year pro recently developed a solid mid-range game as well. With Chris Paul now in Houston, Griffin is back in the driver’s seat. How he performs this upcoming season as the main guy will show us just how good he really is. The 27-year-old went off last season, attacking on every possession and finishing with a career-high average of 27 points per game — the sixth highest output in the league. The two-time All-Star’s name is seldom mentioned when people discuss the top point guards in the league, and that needs to change. The Trailblazers are going to have a hard time keeping up in a Western Conference that’s stacked with super teams, but Lillard’s ability to single-handedly run off 10-straight points makes them a dangerous team every night. Here’s where a lot of fans will get triggered. Yes. 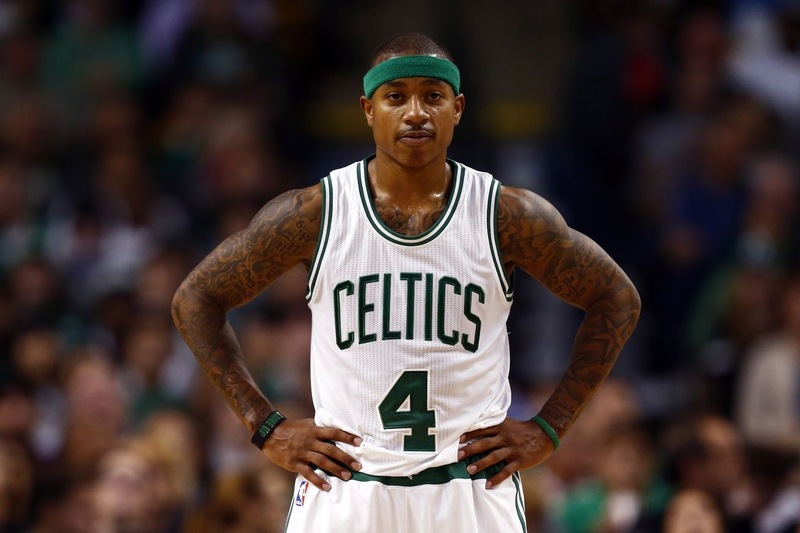 Thomas’ contributions to the revitalization of the Celtics franchise shouldn’t go unnoticed. His 28.9 points per game (third-highest in the NBA last year) and 9.8 points per fourth quarter (second-highest) is something special. But the 5-foot-9 scoring extraordinaire is a liability on defense, and team’s take full advantage of it. Thomas recorded a defensive real plus-minus of -3.89 last season, the absolute worst out of the 79 eligible guards. Marcus Smart took over the point guard spot when Thomas went down in the Eastern Conference Finals, and he managed to lead Boston to a win over Cleveland; something Thomas couldn’t do. That speaks volumes. Thomas’ defense may be atrocious, but he has the biggest heart in the league, and it’d be a crime to leave him outside the top 20. It’s all attitude with Kyle Lowry. The six-foot guard is an absolute bulldog, muscling his way into the teeth of the defense despite giving up a foot in height. That grittiness paid off last season as Lowry had the best year of his career, averaging 22.4 points and seven assists. 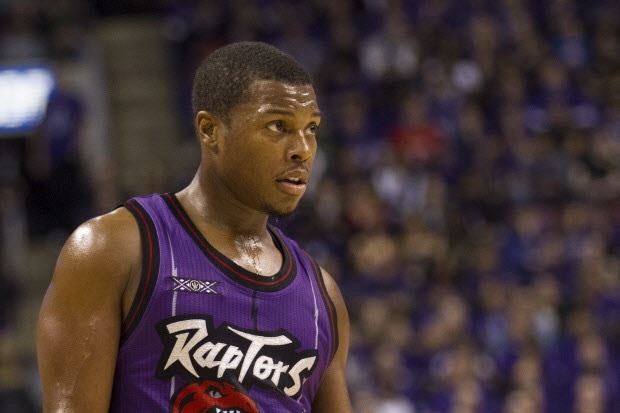 In addition to finishing at the rim aggressively, Lowry knocked down threes at a career mark of 41.2 percent last season – an impressive showing from the 31-year old. Lowry’s struggles in the postseason are weighing him down on this list, but he’s clearly one of the best point guards in the Eastern Conference, and the 11-year veteran looks poised for another great season. DeMar DeRozan finally broke out last season. Yes, we all knew that the three-time All-Star was good, but we didn’t know he was that good. DeRozan exploded for a career-high average of 27.3 points per game – the sixth-highest total in the league. His emphatic dunks and elite mid-range game make him a difficult player to guard, although his three-point shooting (just 26.6 percent last season) will have to improve before he can climb into the top 15. Nobody really knows who the main guy is in Toronto, and that’s why Lowry and DeRozan are back to back on this list. Either way, it’s a good problem to have if you’re the Raptors. 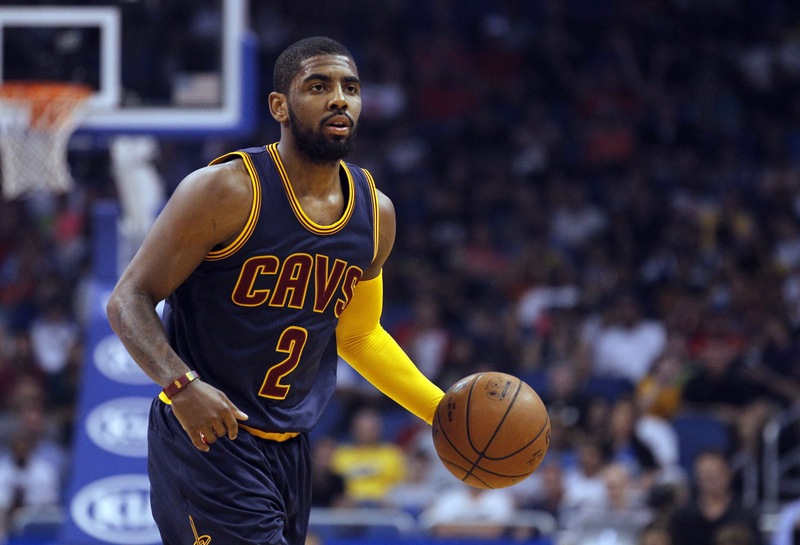 It’s difficult to pinpoint just how great Kyrie Irving is. The four-time all-star is the most clutch player in the game, and we saw that when he sunk a dagger three over Steph Curry in game seven of the 2016 NBA Finals. The Duke alum is also the best finisher in the league, and he has the best handles in the league. But much like Isaiah Thomas, Irving gets shown up on defense. Although in Irving’s case it’s usually a matter of effort, and that’s far worse. The 25-year-old also hasn’t quite proven himself to be capable of leading a team. He failed to lift Cleveland to a .500 record prior to the return of LeBron James. Granted, Irving has gotten significantly better in the three years that James has been back, and it’ll be interesting to see just how far he can take a team as the No. 1 option should he get traded. The notion that Paul George hasn’t been the same since his injury is ridiculous. In fact, the four-time all-star reached a career-high average of 23.7 points per game last season. George still isn’t on the level of elite players like LeBron James (as we saw in last year’s playoffs), but he’s a versatile 6-foot-9 forward that shoots a career three-point average of 37 percent and will blow past you for a nasty tomahawk if you lose focus. Placing George at the No. 16 spot isn’t a knock on him. Rather, it’s a testament to just how many great players there are in this league. The Thunder are ecstatic to have the 27-year-old rim rattler on their team, and George is ready to take the Western Conference by storm. 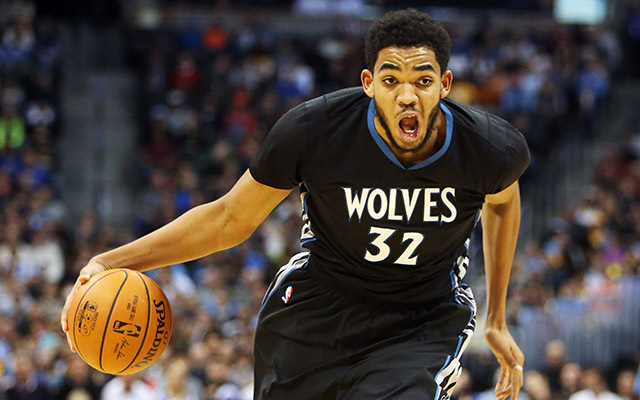 Karl Anthony-Towns continues to rise up the ranks of the NBA. The 21-year-old stud averaged 25.1 points and 12.3 rebounds last season, making him one of the most imposing big men around. He’d certainly be much higher on this list if we were ranking the top players for the next decade, but the No. 15 spot is still an honor for a youngster that just finished his sophomore season in the league. 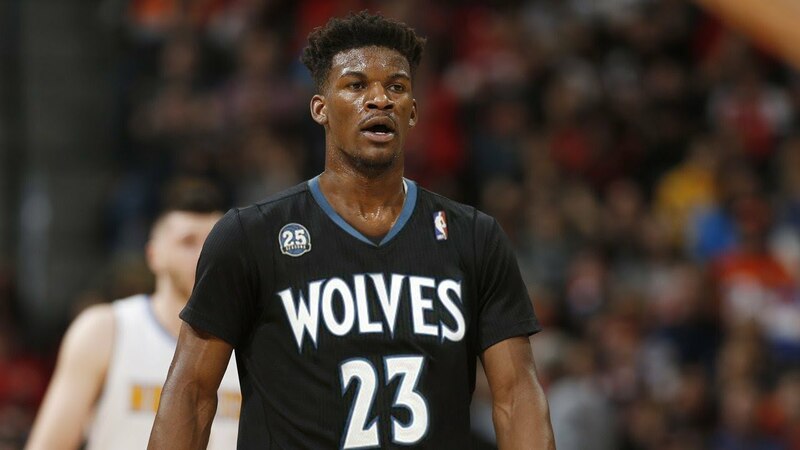 We’ll have to wait and see just how much the addition of Jimmy Butler in Minnesota affects Town’s stat line, but there’s no denying that he’s a super star in the making. The Timberwolves are looking like a formidable foe in the Western Conference, and they’ll only get scarier as their prized big man continues to polish his game. Klay Thompson makes it look so easy. The second half of the Splash Brothers duo has one of the purest strokes you’ll ever see, and he’ll quietly drop 30 on you if you don’t respect his range. After all, this is a guy who erupted for 60 points in just 11 dribbles last season. Oh yea, and do you remember when he scored an NBA-record 37 points in one quarter back in 2015? Those are just two of Thompson’s many great single-game performances. The three-time All-Star is also a lockdown defender. Thompson’s ability to go toe to toe with the opposing team’s best scorer is yet another way he contributes to the reigning NBA champions. 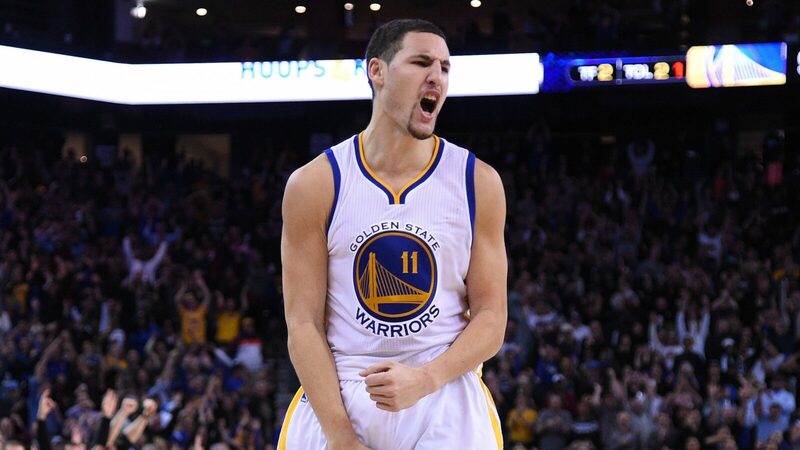 Thompson may not be the first guy that comes to mind when you think of Golden State, but don’t get it twisted. He’s one of the deadliest shooters in the league when he catches fire. DeMarcus Cousins is one of the few exceptions to the small ball phenomenon that’s swept over the NBA. The three-time All-Star averaged a career-high 27.8 points per game last season with Sacramento before being dealt to New Orleans. Nevertheless, Boogie still averaged a dominant 24.4 points and 12.4 rebounds in his 17 games with the Pelicans. Cousins is the ambassador of bully ball, and he’s an elite option in the pick-and-roll game as well. The 26-year-old still has room to grow, and he’s already established himself as the best center in the league. Bonus tidbit: Google “DeMarcus Cousins” and try to find a photo of him not complaining. It’s harder than you’d think. No player’s stock rose more in the playoffs than that of John Wall. The Kentucky alum was on a mission, blazing past defenders and dominating every game. There was never a moment in the Wizard’s playoff run where Wall wasn’t the best player on the court (think about that for a second). It’s a shame that we never got to see Washington take on Cleveland, but the fact that the Wizards were able to take the first-seeded Celtics to seven games is nothing to scoff at. Wall is the best point guard in the Eastern Conference, and as long as he stays healthy, Washington is not to be taken lightly. 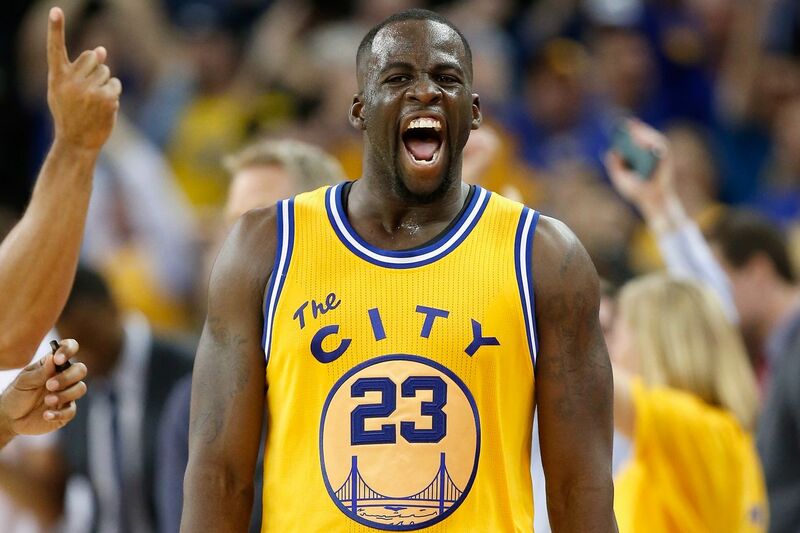 You’d be hard-pressed to find a louder voice in the league than that of Draymond Green. We’ve seen countless players’ mouths speak louder than their games, but Green isn’t one of those guys. The Defensive Player of the Year has one of the biggest motors out there. Green averaged a well-rounded 10.2 points, 7.9 rebounds and seven assists last season. And although those numbers don’t exactly jump off the stat sheet, it’s those hustle plays and his burning desire to win that make him the heart and soul of the best team in the league. The Michigan State alum guards every position, and he refuses to let his size hold him back. Green is cast aside when most people talk about the best players in the league due to his on-the-court antics, but that’s just adding more fuel to the fire. Minnesota really robbed the Bulls. Jimmy Butler is a game changer for a team that’s been trapped in an endless cycle of meritocracy for the past decade. 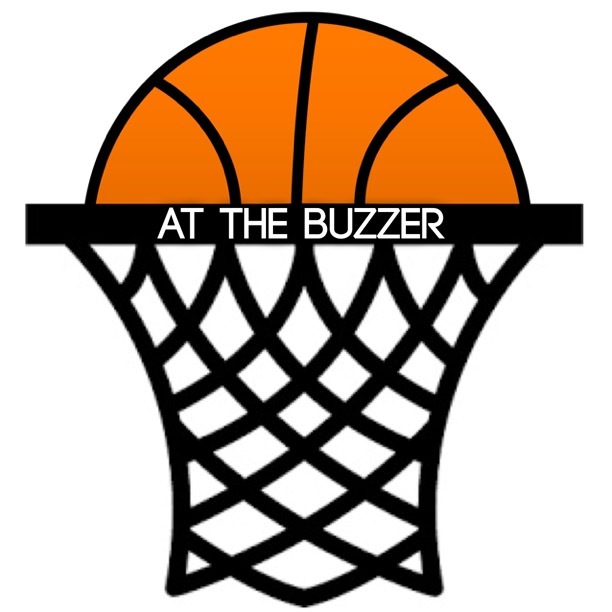 Butler is an elite scorer, averaging at least 20 points for the past three seasons. Fans call him Jimmy Buckets for a reason. Butler plays with a level of physicality that’s refreshing for a league that, in the eyes of many NBA legends, has grown soft. The Marquette alum recorded the third-highest win share last season (13.8), and one can only assume that the 27-year-old will continue to get better in the coming years. Although it’s close, Butler edges out players such as Draymond Green for the final spot on the top 10 due to his ability to take over games and get his team the win. The Rockets got a good one this summer. 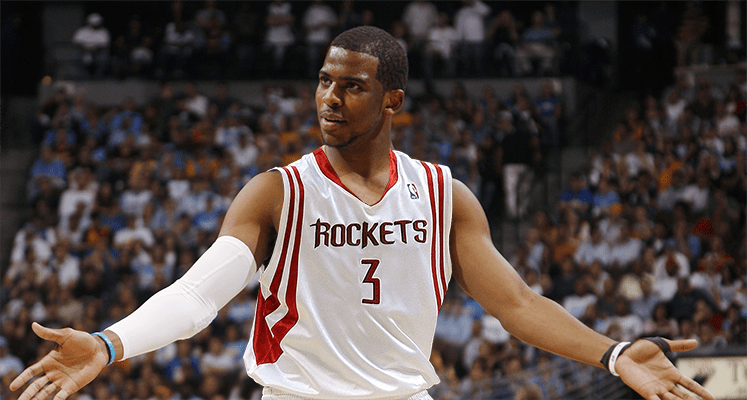 Chris Paul is arguably the best pure point guard this league has ever seen, and despite being 32 years old, we’ve seen virtually no decline in his game. Paul’s IQ is off the charts, and his mid-range game is as surefire as they get. We know that already. But the nine-time All-Star surprised us all last season when he shot a career-high 41.1 percent from behind the arc. Similar to his best friend Dwyane Wade, Paul’s ability to adjust to the league as it changes makes him far less susceptible to the wrath of Father Time. The 12-year veteran looks poised to make the first conference finals appearance of his career, and you can count on him exposing anyone that stands in his way. At the age of just 24 years old, Giannis Antetokounmpo is already one of the most electric players this league has the offer. Antetokounmpo is every coach’s worst nightmare. The 6-foot-11 behemoth is essentially a point center, gliding through double teams, picking up his dribble at the three-point line and extending for an emphatic dunk. Don’t believe me? Look for yourself. The Greek Freak also placed the league on notice in his first All-Star appearance this past season, exploding for a team-best 30 points. Antetokounmpo will continue to get better, and his ceiling is as high as anyone else’s in the NBA. Avoid this man at all costs, and if you find yourself under the rim as he’s barreling down the court, hit the deck. In a league that’s now ruled by shooters, it’s hard to put a big man in the top 10. But Anthony Davis is that good. Everybody knew The Brow was going to excel in the pros when he entered the draft in 2012. Davis, who was just 19 at the time, even played for the 2012 U.S. Olympic team before he played a single game in the NBA. Now 24, Davis is every bit as dominant as expected. The Kentucky alum has averaged at least 20 points and 10 rebounds for the past four seasons, and he reached a career-high average of 28 points per game last year. The league may be trending towards sharpshooting guards, but there will always be value for a 6-foot-10 wrecking ball in the paint. James Harden had an MVP season last year. The 27-year-old averaged 29.1 points, 11.2 assists and 8.1 rebounds. It’s also the second consecutive season that he’s averaged at least 29 points a game. Unfortunately, Westbrook had an even more out-of-this-world season, but that still doesn’t negate the strides made by The Beard. 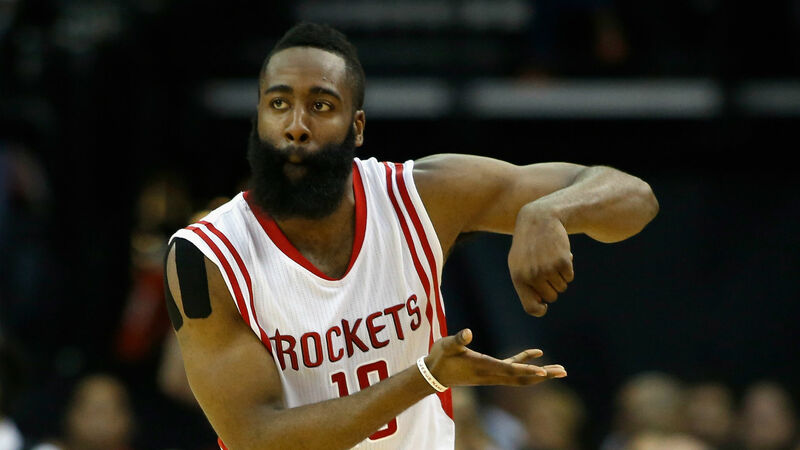 Harden embraced his role as a point guard, increasing his assists from 7.5 per game in 2016 to 11.2 in 2017. Let’s also not forget that he finally decided to play some defense. The future is bright in Houston now that Chris Paul is in the mix, but make no mistake, Harden is still the main guy in Clutch City. You know the league is stacked when the reigning MVP comes in at the No. 5 spot. Westbrook put up a historic performance last season, averaging the first triple double (31.6 points, 10.7 rebounds and 10.4 assists) since the great Oscar Robertson did it in the 1961-1962 season. Critics will point out Westbrook’s 41.7 percent usage rate (highest in the league) and his nightly average of 5.4 turnovers (second to only James Harden), but what do you expect from a man that had to single-handedly will a lottery-bound team to the playoffs? The UCLA alum is an unstoppable force that goes at every opponent as if they insulted his mother just prior to the game. His stats may go down with Paul George now by his side, but that still won’t take away from the greatness that is Russell Westbrook. Kawhi Leonard is a silent assassin. He doesn’t get nearly as much respect as he deserves, but he plays the game of basketball the right way. One has to wonder just how good Indiana would’ve been had they not traded him away for George Hill, but the Pacers’ loss is San Antonio’s gain. The two-time Defensive Player of the Year is more than just a lockdown defender, as he averaged a career-high 25.5 points per game last season. In Leonard’s six seasons with the Spurs, he’s increased his points per game and assists per game totals each season. And it’s fair to say that those numbers will continue to rise. 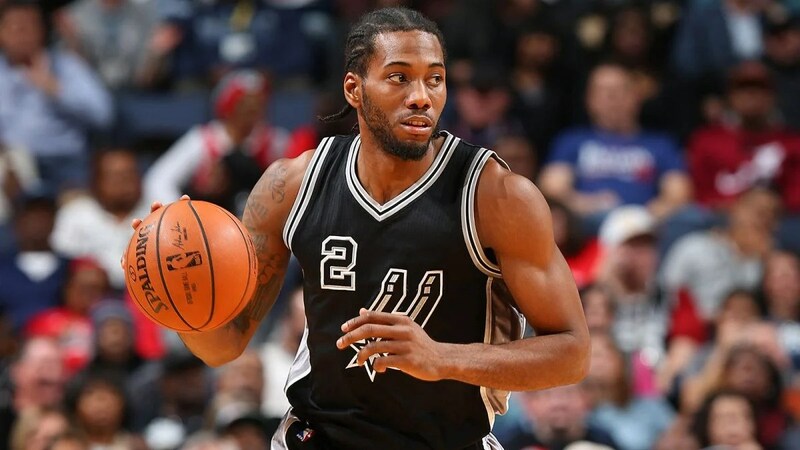 Leonard is a force to be reckoned with in this league, and barring another shady collision with Zaza Pachulia, he’ll surely be leading the Spurs to another deep playoff run this upcoming season. This is the best shooter EVER that we’re talking about here. 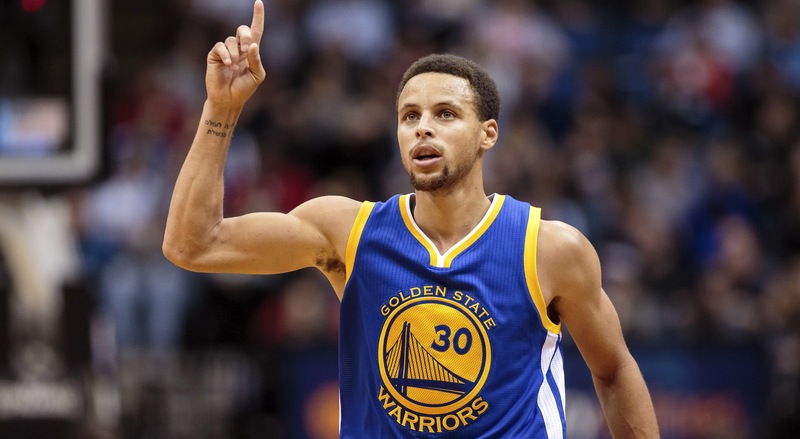 Steph Curry personifies what it means to be an underdog. Measuring at an unimpressive height of 6 feet and 3 inches and an underwhelming weight of 190lbs, the Davidson alum has no business being one of the elite players in the NBA. Curry has four career games of 50+ points while making 10 or more three-pointers. In the history of the league, the rest of the field has just three. Sure, Curry’s stats dipped to a sluggish (heavy sarcasm) 25.3 points, 6.6 assists and 4.5 rebounds last season, but that’s expected when you play alongside two other historically-great scorers in Kevin Durant and Klay Thompson. If you’re going to say Kawhi Leonard, James Harden or Russell Westbrook is better than Curry, you can place that opinion right here. Kevin Durant received a league-wide shunning after leaving Russell Westbrook high and dry for the Warriors last summer, but he silenced the critiques by winning his first ring in the NBA Finals. Durant shredded the Cavaliers in that series, averaging a video game statline of 35.2 points, 8.2 rebounds and 5.4 assists — earning him the Finals MVP award. The University of Texas alum can’t be guarded and, at the age of 28, his best years may still be ahead of him. Think about that for a second. It’s hard to imagine anyone ever snatching the top spot from LeBron James, but Durant appears to be the heir to the throne. To all of those people that think Kevin Durant is the best player in the league: Stop it. 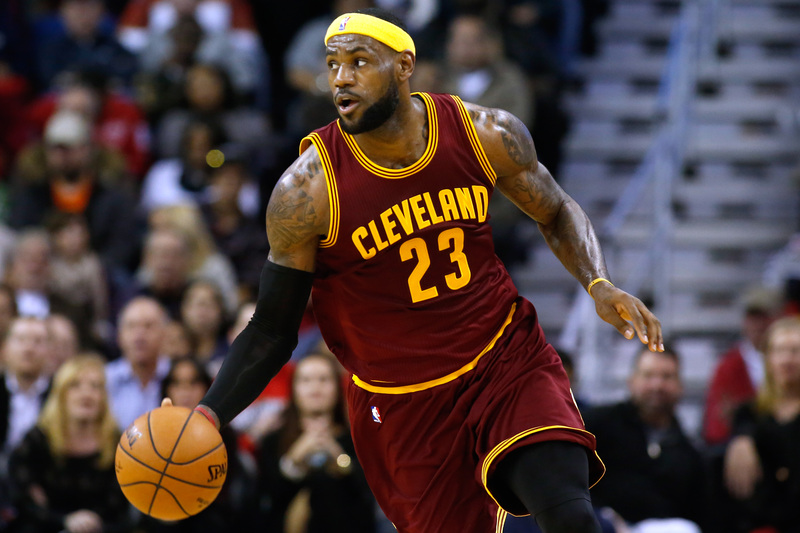 LeBron James is the greatest player in the world, and he has been for years now. The 13-year veteran amassed his 12th-straight season of averaging at least 25 points, six rebounds, six assists and one steal last year. No other player in league history has averaged that in more than four seasons. Durant my have played lights out in the most recent NBA Finals, but James remained the best player on the court at all times. It took a two-time MVP in Steph Curry, a former MVP in Kevin Durant, a Defensive Player of the Year in Draymond Green and an elite 3-and-D player in Klay Thompson to take down James. The Larry O’Brien Trophy may rest in the Bay Area, but the crown still resides in The Land. Don’t agree with where some of the players are ranked? Think we missed someone? Let us know in the comment section below. But please, be civil. Very interesting list, man. I like it. I agree with a lot of it. I always wanted to make a list like this but it’s extremely hard for me to be so specific. Well done. Thanks, glad you like it! It’s difficult ranking some of these guys because there really are so many great players in today’s NBA, but we figured we’d give our two cents. Very nice job. Keep it up.